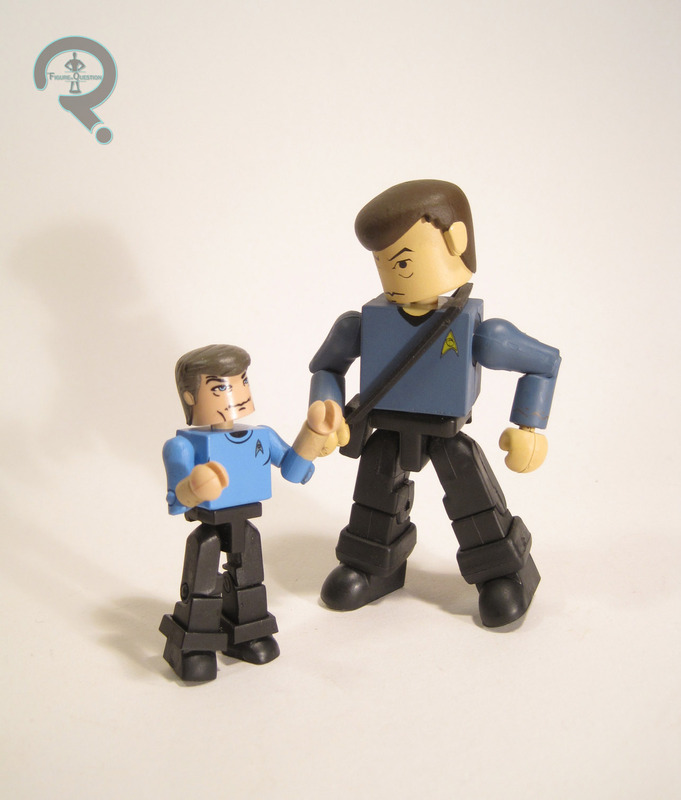 Today, it’s another look at the Star Trek minimates line, this time from their first venture into the smaller 2-inch scale, not the more recent Legacy line I’ve looked at previously. 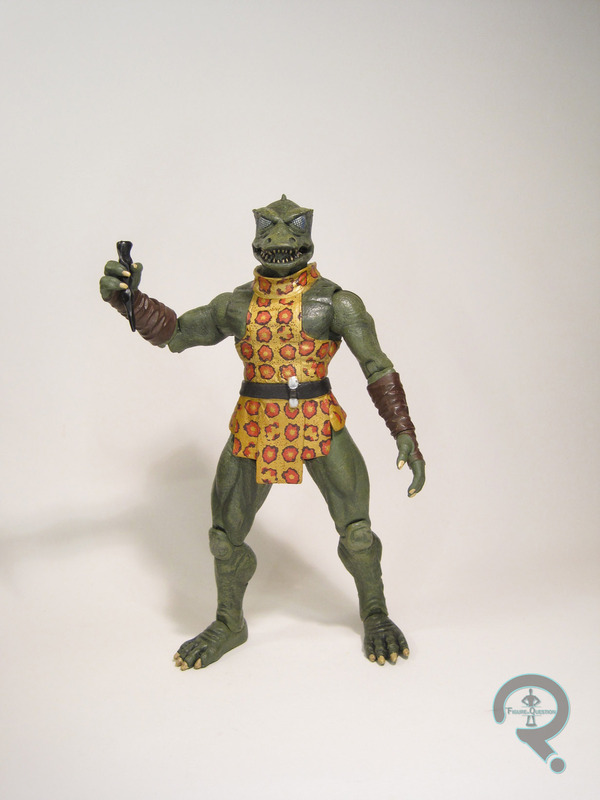 My previous Trek ‘mate reviews have been a bit more on the obscure side for non-Trek fans, but not this time! Today, I’ll be looking at classic series mainstays Spock & Uhura. 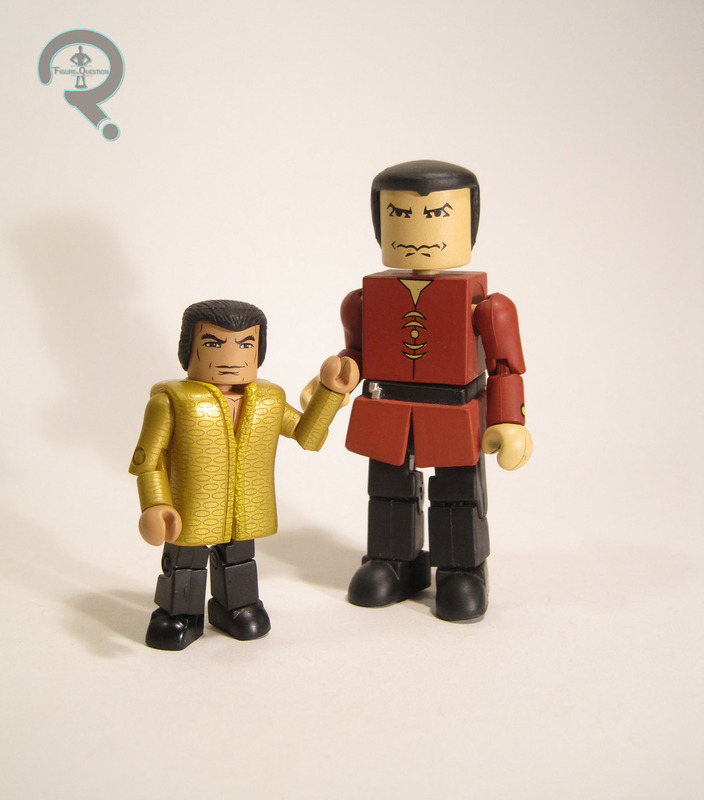 These two were released as part of the 2nd wave of the initial small-scale Star Trek Minimates line. 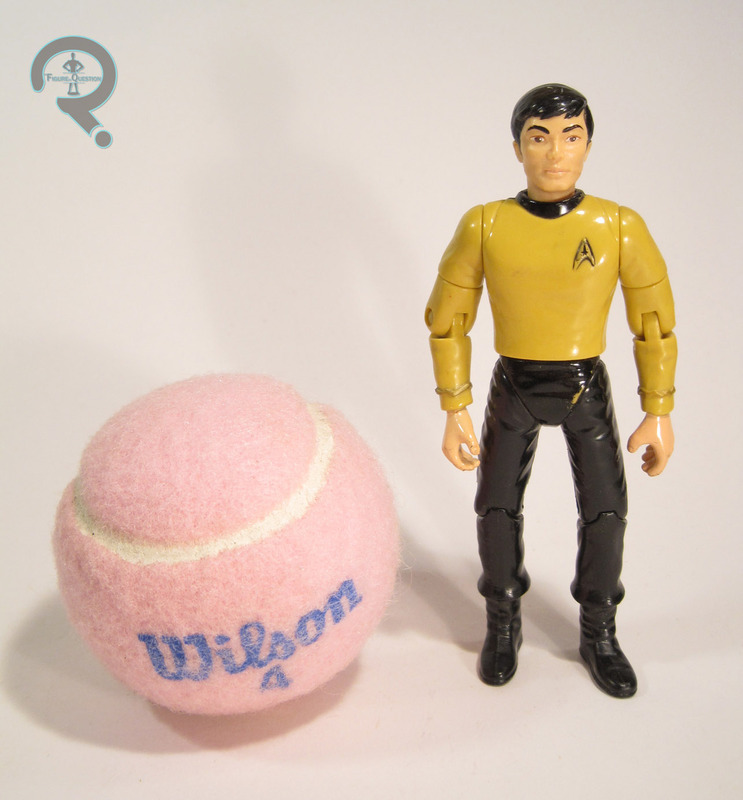 First up, the logical choice, the Enterprise’s chief science officer and one of the most known characters from the series, Mr. Spock. 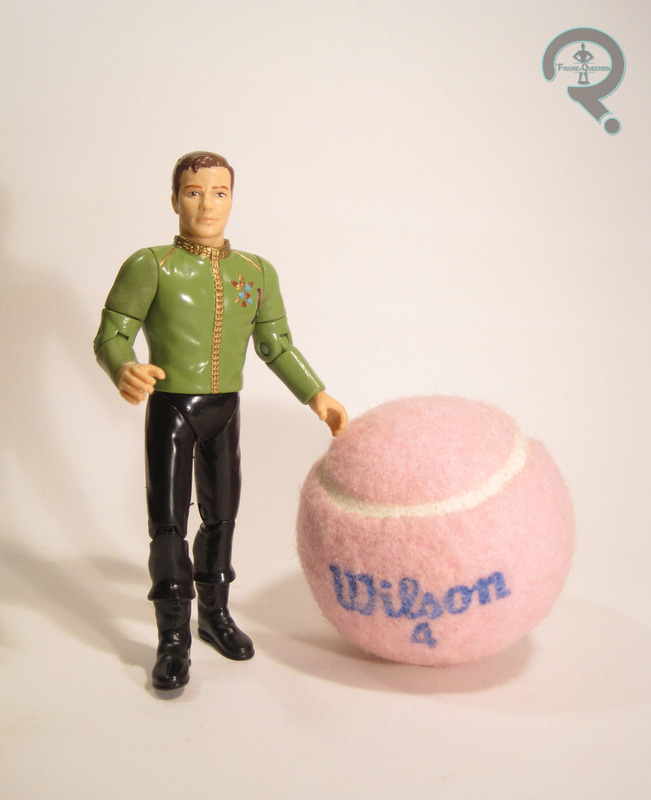 This was the second Spock released in the line, so Diamond decided to depict him in his uniform from the original pilot “The Cage.” It’s not too far off from his regular series uniform, but instead of the usual black v-collar, he has a blue turtle-neck, and his rank band-thingies on his arms are a bit different. 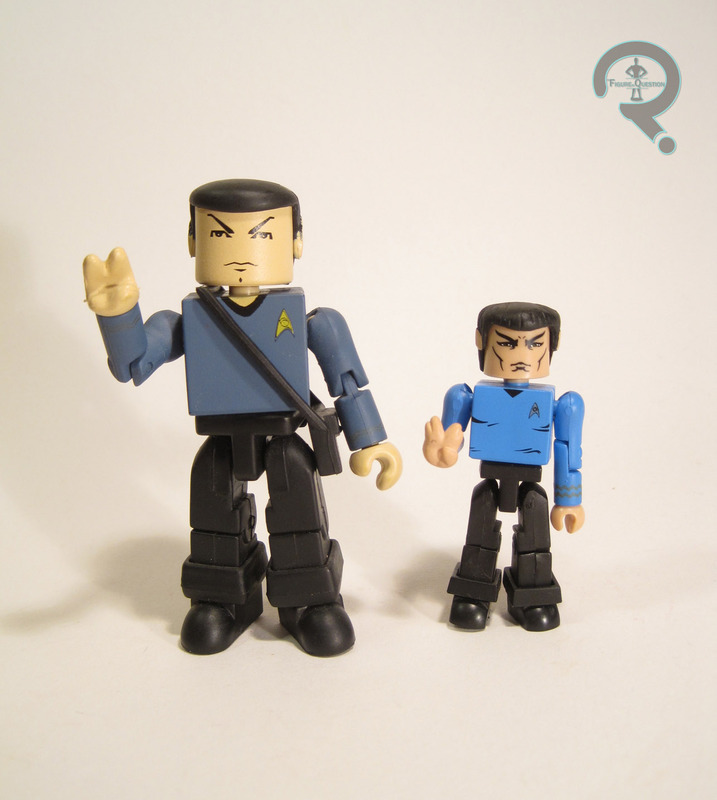 Spock is built on the usual Minimate body, so he stands about 2 ½ inches tall and features 14 points of articulation. 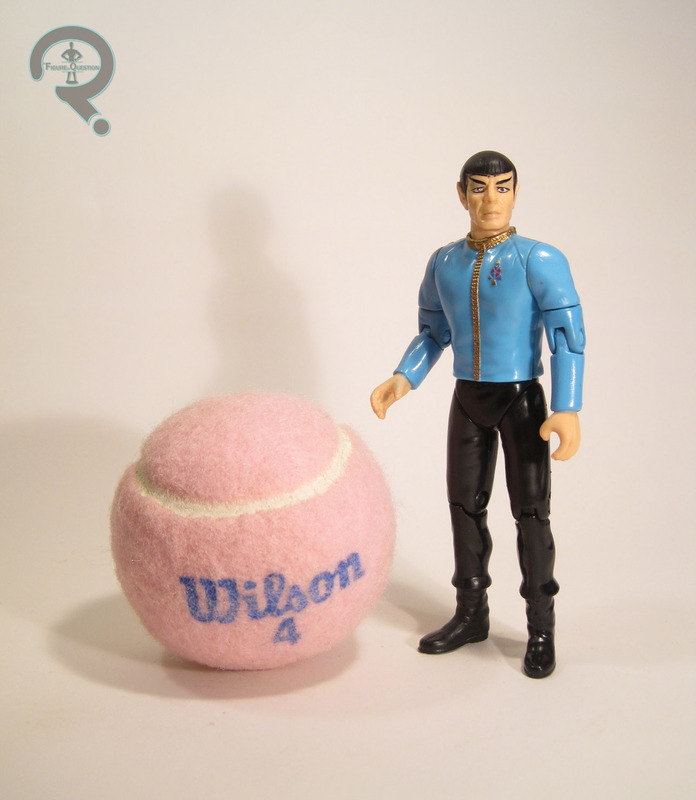 Spock has 3 sculpted pieces: his hair and his pant cuffs. 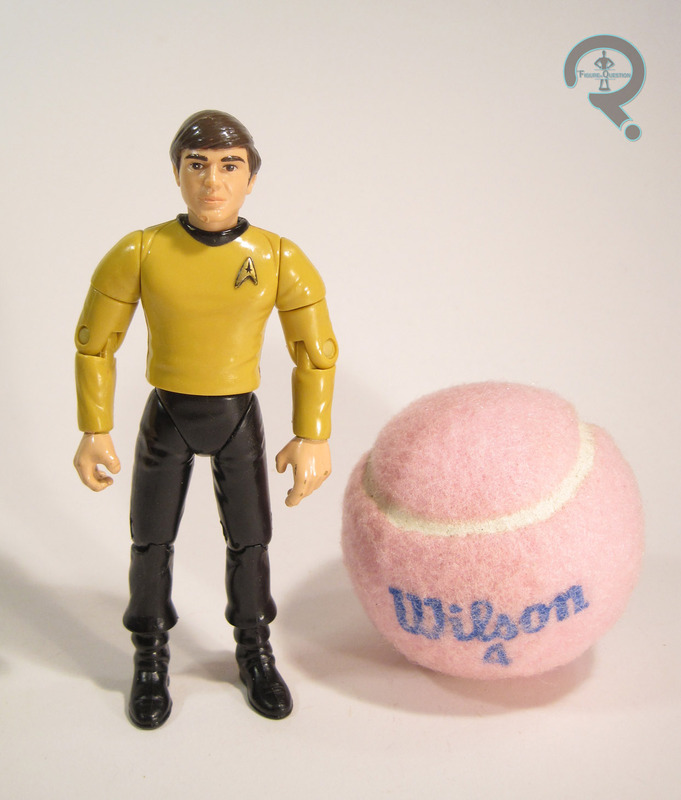 The hair is appropriate to the character, showing off his unique bowl-cut and pointed ears, as well as conveying some nice detail work. 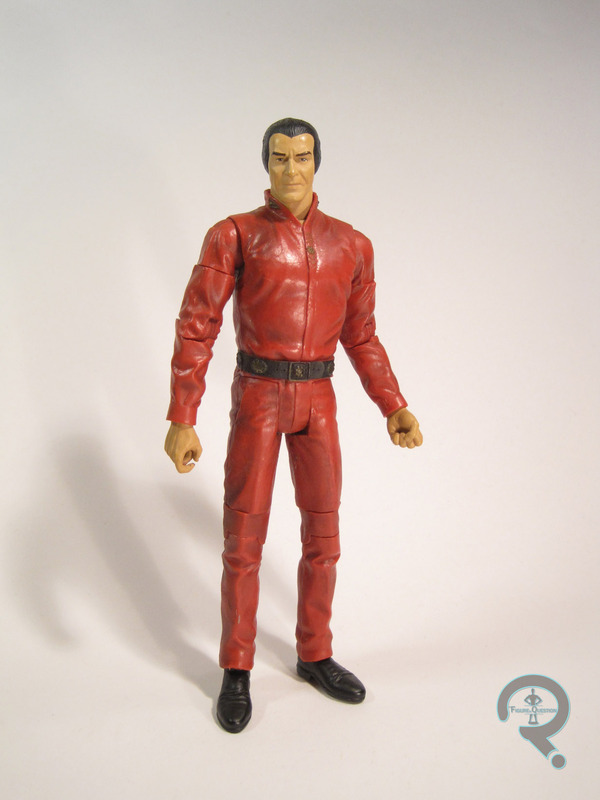 The cuffs are different than the ones featured on the previously reviewed Captain Pike. Diamond seems to have moved to the slimmer pieces for the new line. I’m not sure which ones I prefer, but the ones present here do their job. 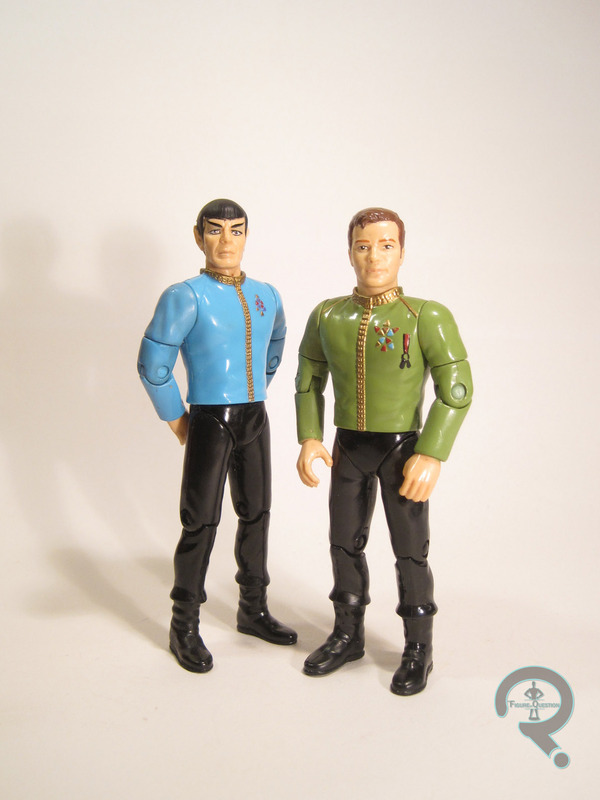 The earlier Trek ‘mates can be a bit more simplistic than some of the more recent offerings, but this doesn’t seem to affect Spock too negatively. 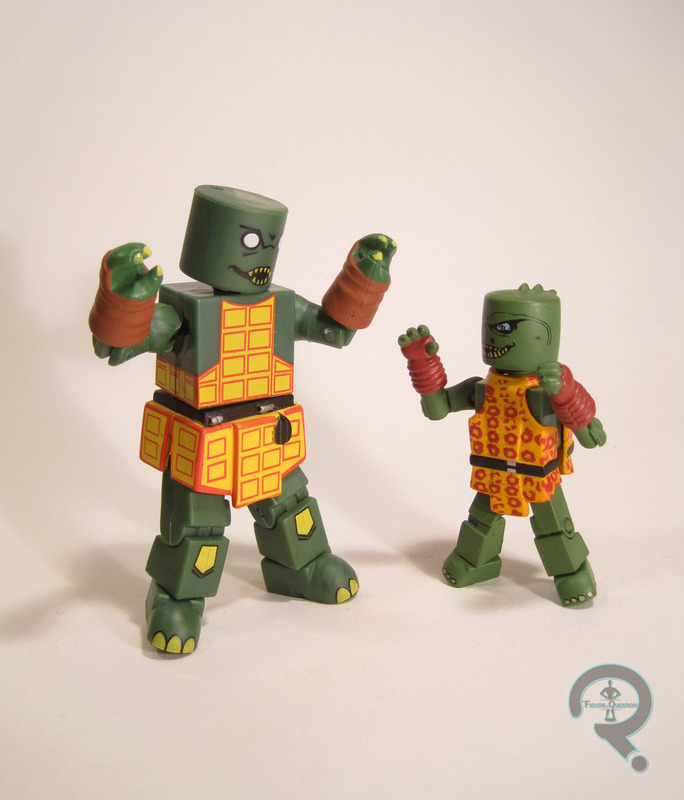 His face, in particular, holds just as much detail as modern Minimates and offers a unique facial expression that suits the character well. The rest of the details are fine, although some of the gold details can get lost. 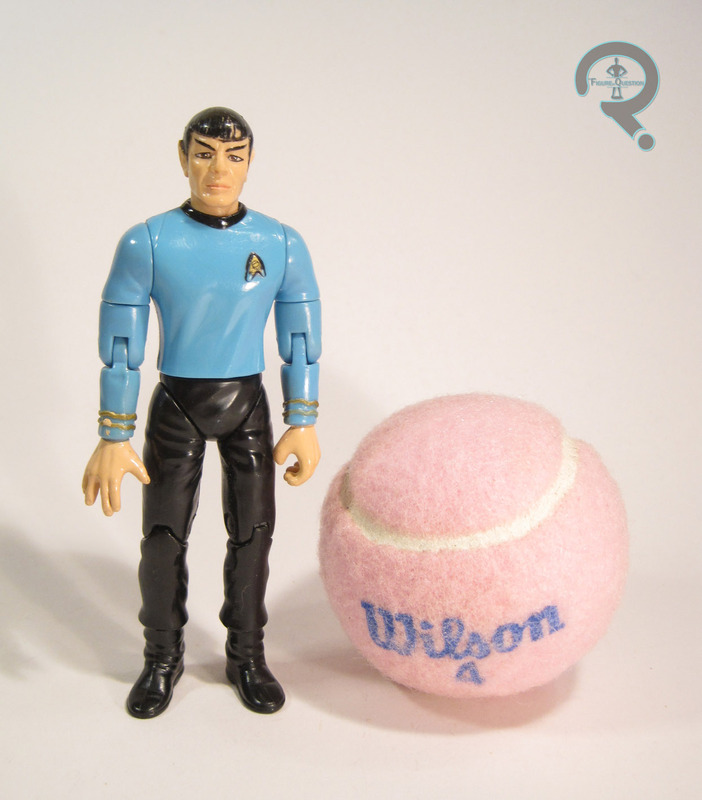 Spock included a tricorder and a “Cage”-style phaser. 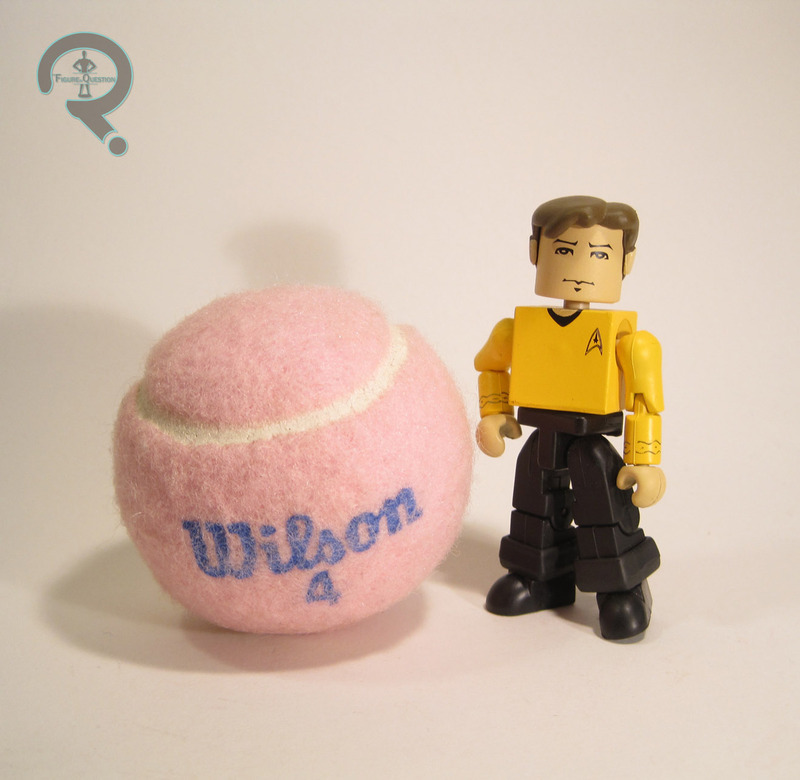 Next, it’s the Enterprise’s faithful communications officer, Lt. Uhura. 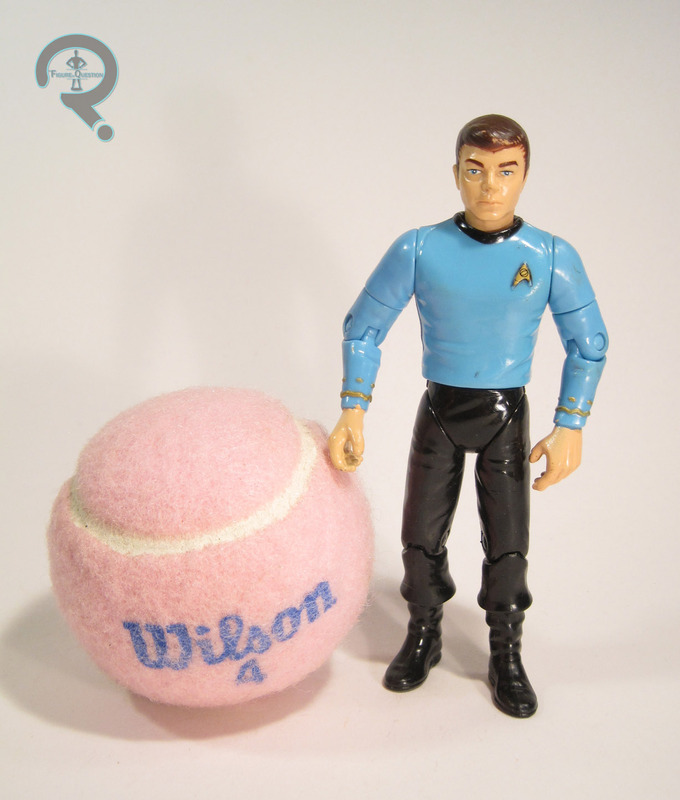 She’s not as well-known as Spock, perhaps, but she’s definitely up there. Uhura is shown in her main uniform from the series. 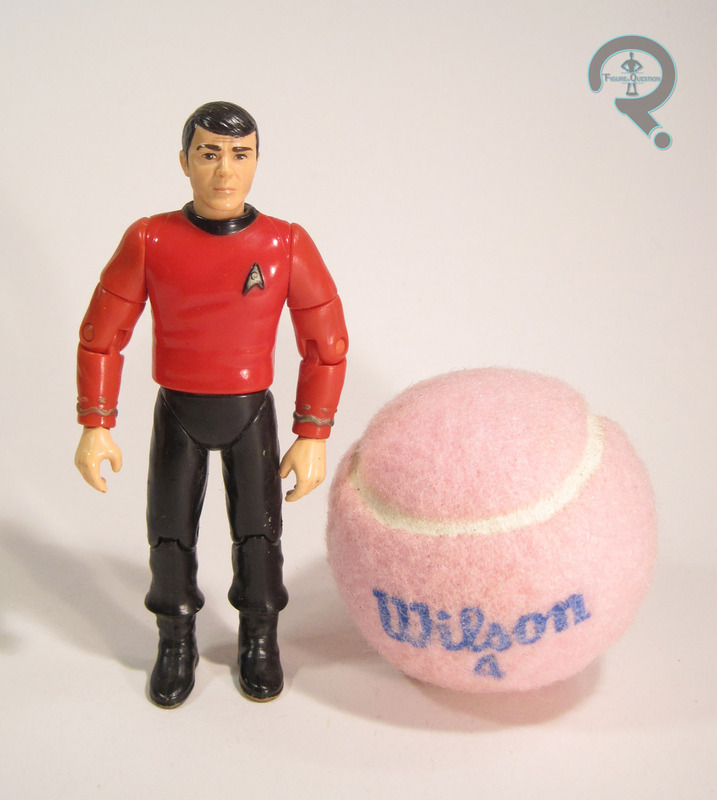 Like Spock, Uhura is built on the usual body, and has the same height and articulation. 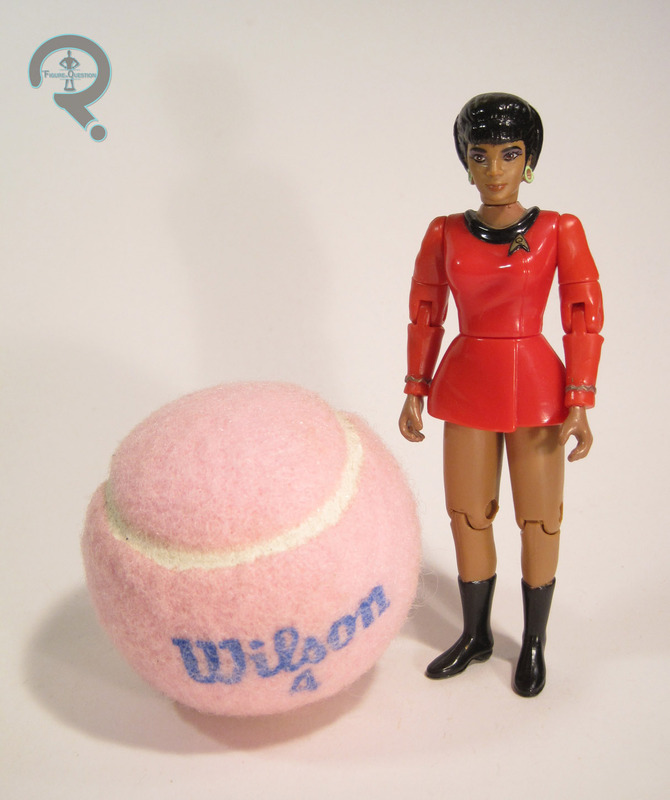 Uhura has 2 sculpted pieces: her hair and her skirt. 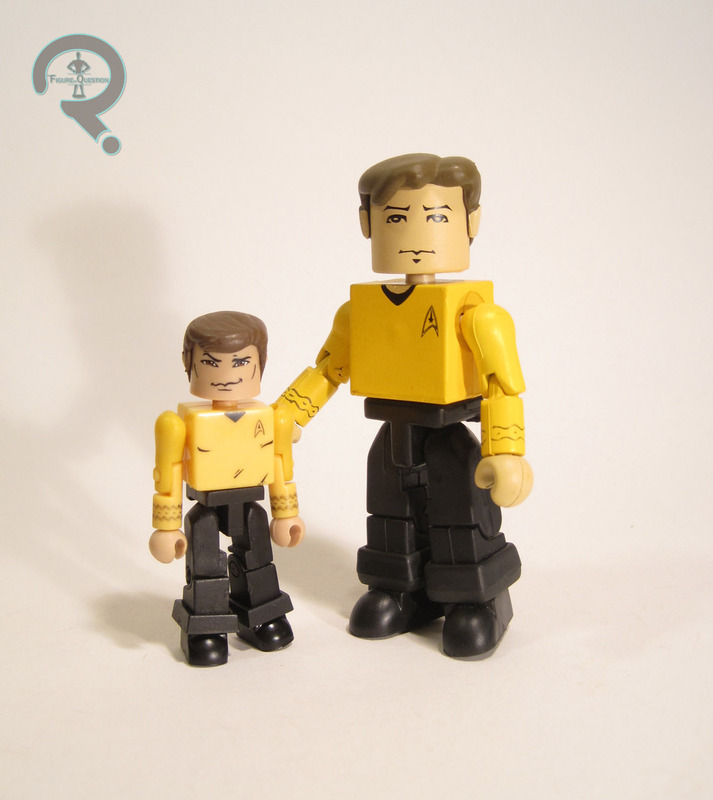 The hair looks to be pretty spot on, and the detailing is quite nice, perhaps even better than that on Spock’s hair-piece. The skirt is fine, though it does look a bit on the dated side by current Minimate standards, being rather on the boxy side. 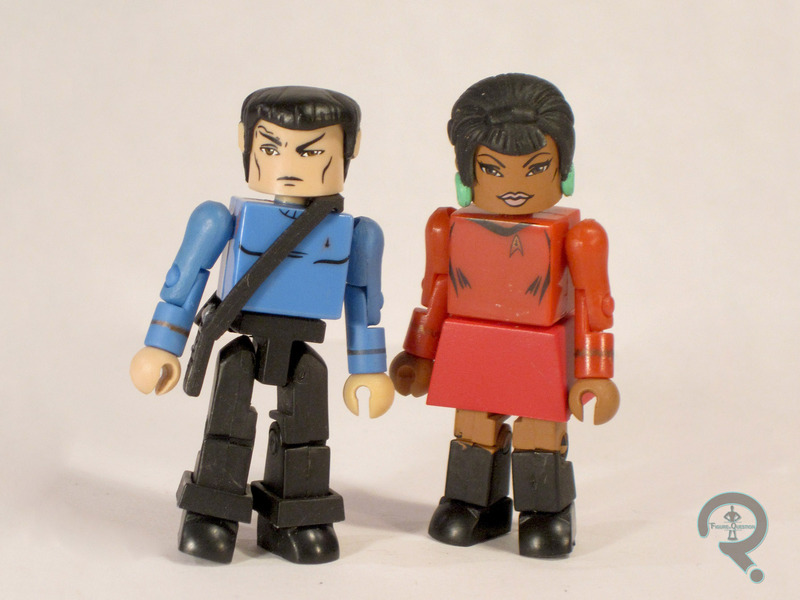 Like Spock, Uhura doesn’t appear to have been hit too hard by the occasionally lesser paint apps of earlier minimates. 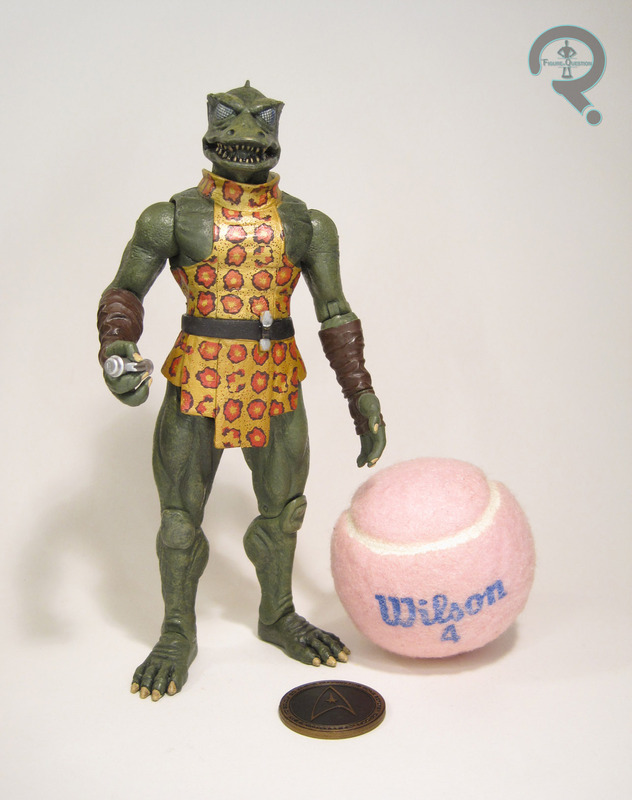 Most of the paint work is nice and clean, and the face is a nice approximation of Nichelle Nichols. 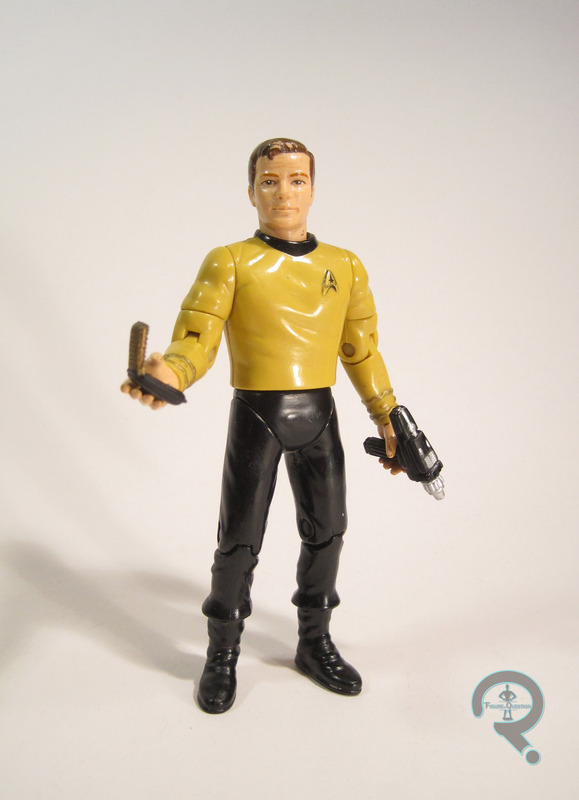 A slight negative: The paint of the boots is rather sloppy, and similarly to Spock, the gold parts can get a little lost. Overall, she’s well done, though. 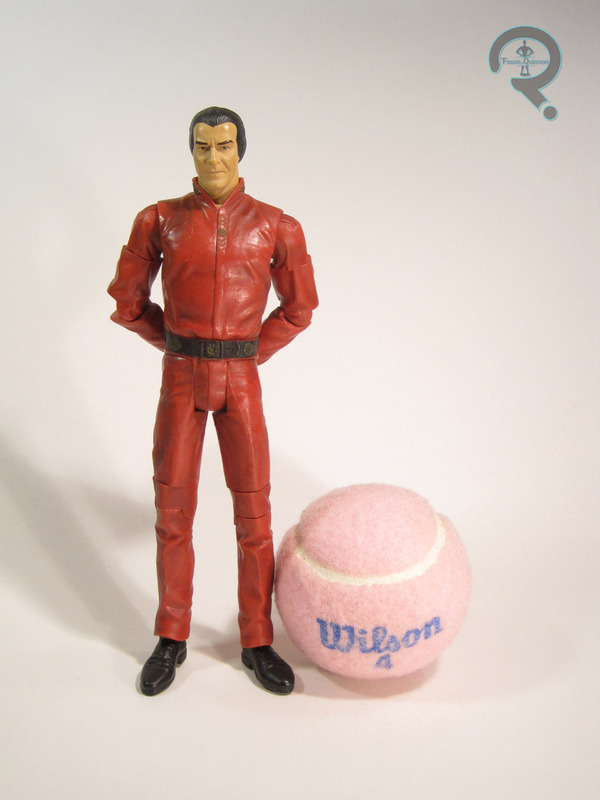 Uhura was packaged with a phaser and a communicator. These two were picked up on clearance from a nearby FYE. I actually had been looking for them, and just happened upon them at FYE along with several other sets of Minimates. 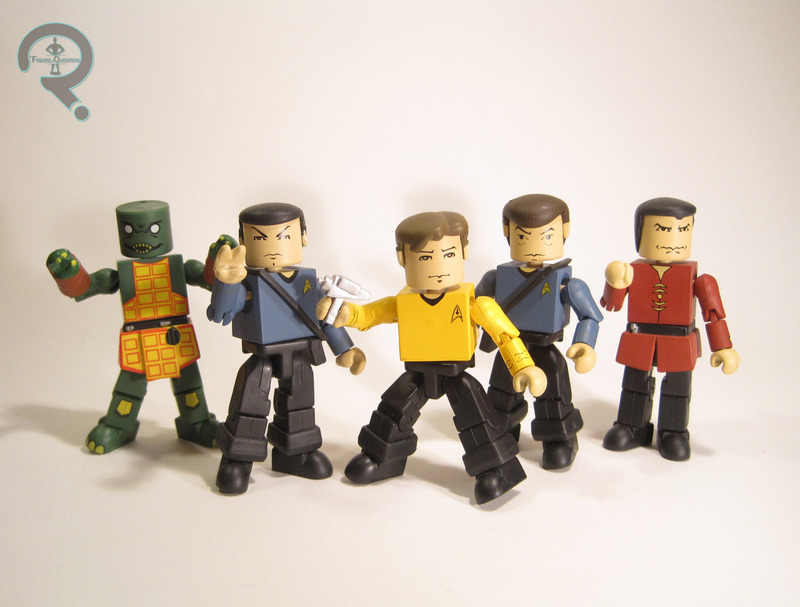 Trek Minimates have never been the highest priority for me, but I always enjoy them once I get them. 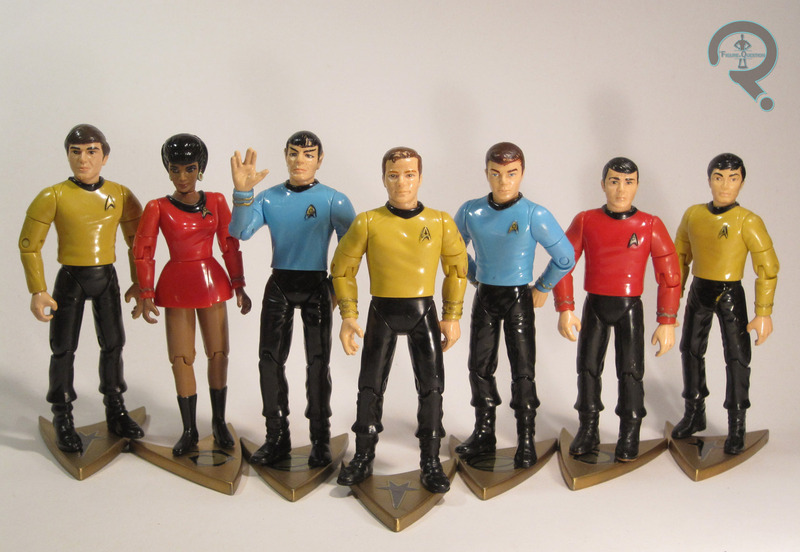 This was a pretty good set, and is necessary for anyone looking to complete their Original Series bridge crew.